One of the final potential Best Picture candidates on my list to see, Lion was near the bottom in terms of anticipation. While the trailers and promotional material never really grabbed my attention, the buzz had and I can happily say I’m glad it did. On the surface, Lion doesn’t seem like anything too unique, but the level of storytelling here, from the filmmakers and actors, is immensely worthwhile in the end. 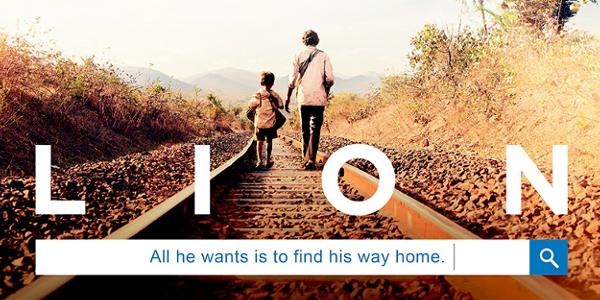 Five-year-old Saroo (Sunny Pawar) gets lost on a train which takes him thousands of miles across India, away from home and family. Saroo must learn to survive alone in Kolkata, before ultimately being adopted by an Australian couple. Twenty five years later, Saroo (Dev Patel), armed with only a handful of memories, his unwavering determination, and a revolutionary technology known as Google Earth, he sets out to find his lost family and finally return to his first home. Lion is an interesting film in its execution, as both halves of the film could completely stand on their own. If it had ended at the halfway point, Lion would’ve been a short story of isolation and fear and It would’ve been great, but it continues to open more emotional avenues in Saroo’s later years. The first half of this tale is definitely better, using impeccable pacing with time jumps to really illustrate the isolation of Saroo in this large, crowded space of Kolkata very well. The second half is emotional, just not quite as powerful or as beautiful as the first. This is not a failure but a compliment to how glorious the first half is. While the older, more experienced actors will likely earn al the buzz and praise, the real standout is the young Sunny Pawar. What Pawar does in Lion is brilliant for a child actor and near perfect when compared to others, conveying emotional beats with elegant strokes for such a young age. But like I said, the latter half will bring the performance nominations for the film. Nicole Kidman, as Saroo’s adoptive mother, is the best she has been in years with her flawed yet sure in her convictions portrayal. And Dev Patel, taking up a majority of the scenes, carries the latter portion on his back, mainly out of necessity, depicting the true obsession and pain in his eyes very well. The entire film is highlighted by an incredible score from Volker Bertelmann and Dustin O’Halloran and beautiful shots from cinematographer Greig Fraser that contain as much heart as the film itself. Director Garth Davis has done something truly exceptional here by telling a story, by letting the camera and the performances bring it to life without going over the top or too big. It’s a lost and found story that’s touching and genuine all the way down to its core premise. Overall, Lion exceeded my expectations, albeit they were low, to become one of my favorite films of awards season. 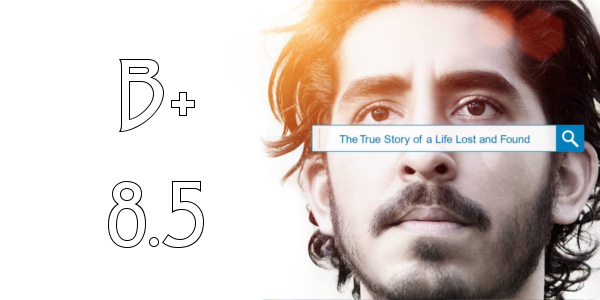 From the first half, that plays with emotions so well, evoking a roller coaster of emotion that always finds a way to be heartbreaking in some way, to the satisfying conclusion, that brings everything full circle, Lion is truly lovely and a must see in a month devoid of legitimate film options. So what did you think of Lion? Have you seen it? Subscribe, share, comment below, and as always return to I Am Sam for weekly reviews and insight.